Streaming a weekly live show on YouTube and other platforms, whether you have a business or personal, has massive advantages. If you want to get more attention online, increase your reach and grow your audience, a periodical live video show might be exactly what you need. In this blog post, we’ll find out the benefits of creating a live show on social media and, most importantly, why consistency can be so valuable. The real-time interaction between the streamer and the audience can’t be found in any other medium. Not on the same scale, at least. Regardless if you’re streaming as a business or personal brand, during a live video, viewers get excited to join the conversation because they have a real chance of reaching you. The best part is, while you’re live, viewers also get engaged with one another which helps you build an active community. This level of interaction with your audience is invaluable. Not only do you get the opportunity to create a real connection with them, but you also build trust and increase the chances of converting them into loyal customers. Apart from the highly interactive and engaging environment of a live stream, it can also help you expand your online reach. Social media platforms, like Facebook and YouTube, will favor live video content on newsfeed and searches over other formats. Most importantly, since it’s live, viewers might be more compelled to share it with their connections. Cost-effectiveness – Live streaming is free on platforms like Facebook or YouTube, the equipment to get started is affordable, and there’s no post-production. Content creation boost – After your live stream is over, you can keep the video published as a VOD (video on demand) option, or you can repurpose the footage to create multiple pieces of content. Create shorter clips, transcriptions, blog posts, images and much more. Watch time increase – Social media platforms measure how long viewers are watching your videos. It’s an important metric for them to access the relevance of your video. Since most live streaming videos are about one hour long, they tend to increase your overall watch time. Why create a live video series or weekly live show? Can’t we just create live videos here and there to connect with the audience from time to time? Sure. If you do so, you’ll be able to reap some of its benefits. But it’s like buying your dream car and riding around the block once every six months. Why not take full advantage of everything live video has to offer? Creating a live show on social media is an overlooked strategy that can help you grow your audience and expand your online reach. Consistency has a massive impact on your live streaming results. A weekly or fortnightly live show means you’ll deliver a lot more content and the audience can get used to your schedule. When you create a weekly live show on social media, you increase the odds of potential viewers showing up. They can subscribe to your live show, and you can send them email reminders before you go live. Reminders and notifications can be highly effective to bring viewers to your live stream. Over time, many viewers will already know that they can come to your Facebook page, Thursdays at 21 pm, to watch a one-hour Q&A and news about their industry. Another essential advantage of being consistent is credibility. If they see you grinding out there every week, it will be easier to gain their trust, which can also lead viewers to share your content. Whatever your industry, creating a weekly live show can be worthwhile. Social media has a vast audience, and the chances of finding your potential customers are high. 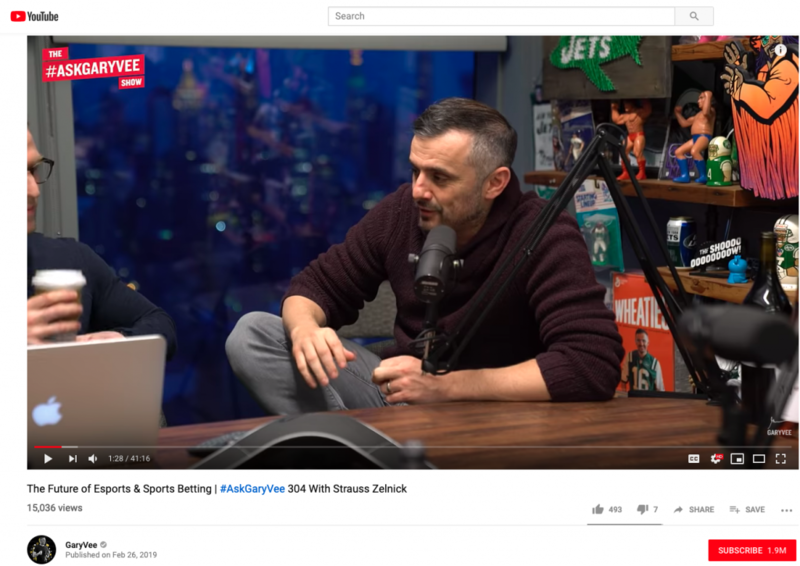 Here are some examples of YouTube live shows that have contributed to the growth of these channels, regardless of what the business or personal brand is. Ramsey goes live and takes calls from people all over the US looking for financial advice. The channel has almost 1 million subscribers, and his live videos have three times more views than the shorter video tips. 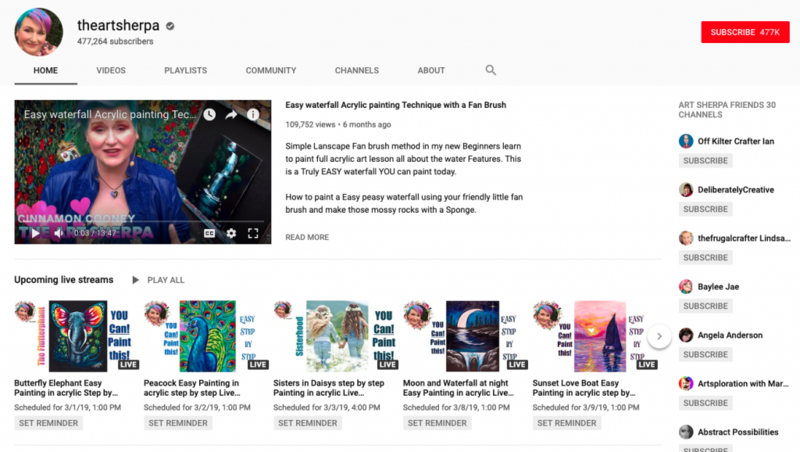 A channel dedicated to teaching acrylic painters to beginners, the Art Sherpa’s strategy is mainly through live streaming videos. The students get to paint alongside the teacher and ask questions during the process. The real-time interaction helps students learn the most and The Art Sherpa doesn’t need to spend any time in editing. Though ThinkMedia doesn’t have a periodically live video show, they have done live videos before. In August 2018, they did three live videos in a row. The first one got 20 thousand views. The second one got 47 thousand and the third one an astonishing 90 thousand views. With his successful personal brand, the entrepreneur Gary Vaynerchuk has a monthly live show on social media called the Ask Gary Vee Show, where he interviews other successful entrepreneurs and take questions from the live Facebook audience. His team, later on, edits the video and shares it again on social media. So, he gets the real-time engagement with the audience and content to schedule for later. How to create your live show on social media and schedule? When it comes to a live streaming show, there’s no right or wrong yet. The schedule needs to fit your availability and your audience’s willingness to watch you. 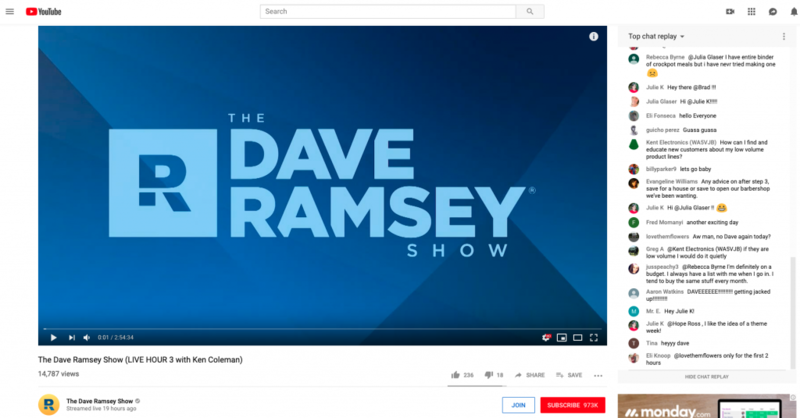 While Dave Ramsey’s show is daily, Gary Vee’s is monthly, and they both get the attention of their respective audiences. It’s important to test and optimize your strategy as you go. You can try to create a weekly show at first if you struggle to create the content or find the time, try fortnightly. Once you find a schedule that works well for you and your audience, stick to it for a while, before making more changes. After all, consistency is vital. Comments will be closed on May 3, 2019.